What is The CAS Institute? The CAS Institute, or iCAS for short, is a wholly-owned subsidiary of the Casualty Actuarial Society (CAS) that provides premier specialty credentialing and professional education to quantitative specialists in selected areas. How do I join The CAS Institute? Why should I join? New members join online using the membership application. Annual membership dues are $250. iCAS membership provides an opportunity to be a part of a professional community. While some members will choose to earn an iCAS credential, others will encourage and support those pursuing one. Member participation drives our professional activities, and forums and are a great way to enhance your network and gain access to current events. Volunteers are encouraged help develop our existing practice communities as well as start new ones based on particular areas of interest. Why was The CAS Institute created? The CAS Institute, formed in 2015, was created to provide premier specialty credentialing and professional education to technical, quantitative specialists in selected practice areas. The CAS leadership recognized the opportunity to serve quantitative professionals in complementary fields, such as advanced analytics and data science, addressing today’s quantitative challenges in insurance and other sectors. The iCAS program was created to meet these additional market needs for further specialization. How does The CAS Institute differ from the Casualty Actuarial Society (CAS)? The CAS Institute is a wholly-owned subsidiary of the Casualty Actuarial Society (CAS) and provides specialty credentialing and professional education to quantitative specialists in selected areas. The Casualty Actuarial Society is the premier credentialing and professional association for property and casualty (P&C) actuaries, offering the ACAS, FCAS and CERA designations to its members. The CAS will continue to offer its actuarial credentials to professional P&C actuaries as it has in the past. The CAS Institute welcomes CAS-credentialed actuaries to also become certified specialists in selected quantitative practice areas as a complement to their ACAS, FCAS and CERA credentials. What credentials are being offered by The CAS Institute? iCAS is currently offering the Certified Specialist in Predictive Analytics (CSPA) credential. A second credential in Catastrophe Risk is currently under development. We will be announcing the launch date soon, so please be sure to sign up to receive iCAS communications to stay informed on important dates as well as future specialty credential offerings. Whom can I contact for additional information on the Certified Specialist in Predictive Analytics (CSPA) credential? Since launching this first credential, The CAS Institute continues to receive overwhelming high levels of interest. An informative list of Frequently Asked Questions has been compiled for additional information. If you have further questions or need additional information, please email info@thecasinstitute.org or call us at (703) 276-3100 Monday-Friday, 9:00am – 5:00pm (Eastern Standard Time). Who might be interested in obtaining one or more of The CAS Institute’s specialty credentials? iCAS specialty credentials are designed for any professional seeking recognition through a credential in specialized quantitative practice areas such as predictive analytics, data science and catastrophe risk management. These professionals include both nonactuaries and actuaries. In both cases, nonactuaries and actuaries can use their iCAS specialty credentials to set themselves apart from other professionals in quantitative practice areas. How does The CAS Institute’s credentialing process work? The iCAS program follows a credentialing process similar to those used by other respected, well-recognized credentialing bodies, including the Casualty Actuarial Society and The Institutes. Candidates for iCAS specialty credentials follow a relevant course of study, including self-study programs that meet specified learning objectives for practicing in the subject matter area of any given credential. Knowledge and competency assessments include examinations and projects. Eligibility requirements for any iCAS specialty credential may allow for experience such as previously completed academic courses, academic degrees, professional technical papers, and/or other evidence of practical specialized knowledge and experience in the given field of study, to be credited towards the credential. What is the relationship between The CAS Institute and The Institutes (CPCU)? The Institutes is a leading provider of professional education for the risk management and property-casualty insurance sector. The CAS is contracting for certain services from The Institutes to accelerate the delivery of the iCAS program, particularly for credentialing exams for quantitative specialists. The Institutes, formerly known as the American Institute for Chartered Property Casualty Underwriters (AICPCU) and the Insurance Institute of America (IIA), has more than 100 years of experience providing professional education and certifications to individuals in the insurance and risk management industries. The CAS strategic alliance with The Institutes also enables complementary offerings between the two organizations for professional education to the insurance and risk management industry, particularly in regards to the application of data analytics in the industry. How does The CAS Institute ensure the quality of its specialty credentials? The CAS Institute leverages the integrity and relevance of the CAS’ recognized high-quality educational standards to its specialty credentialing program. The iCAS curriculum and assessment processes, while streamlined, operate in a manner similar to rigorous CAS processes that have been recognized globally for over 100 years. Current and future iCAS specialty credential offerings are overseen by expert panels comprised of industry specialists and thought leaders in relevant quantitative practice areas. Each panel is responsible for creating the curriculum, setting the competency levels, directing development of educational materials, overseeing high-quality examination and scoring and establishing eligibility requirements for each specialty credential. The CAS has partnered with The Institutes to ensure that the iCAS credentialing process meets the highest standards of excellence in professional education. 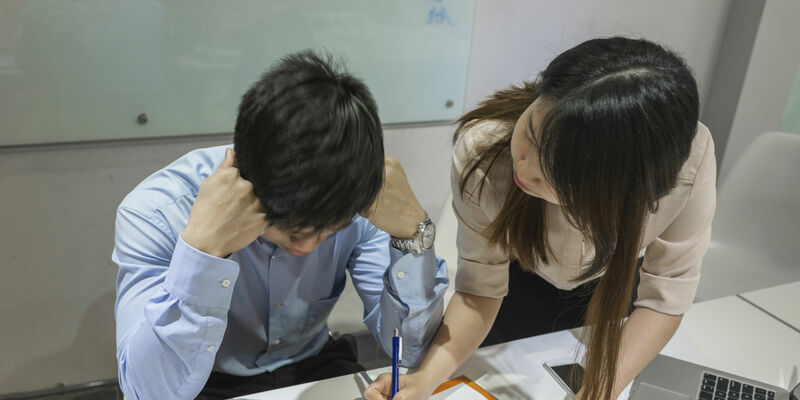 The Institutes will also provide iCAS with state-of-the-art methods for delivering professional education and competency assessment for iCAS specialty credential candidates. Are The CAS Institute’s specialty credentials specific to the insurance industry? The iCAS specialty credentials are currently focused on quantitative professionals in the insurance and risk management sectors. The CAS Institute will explore offering specialty credentials in additional sectors in the future. What value do The CAS Institute’s credentials provide to candidates? For professionals working in quantitative practice areas such as data science, predictive analytics, catastrophe risk management or other quantitative roles in the insurance industry, iCAS specialty credentials provide recognition and evidence of expert, specialized knowledge. Professionals holding iCAS specialty credentials can leverage this recognition in order to enhance their skills, set themselves apart from other professionals, secure additional job duties, and attract premium compensation and/or advance their careers. Whom can I contact for additional information on Catastrophe Risk Management credentials? 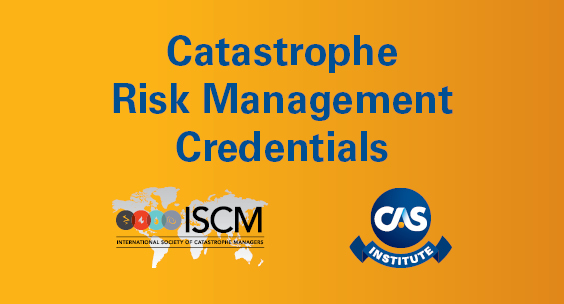 More information about the catastrophe risk management credentials can be found at CatRiskCredentials.org. If you have further questions or need additional information, please email info@thecasinstitute.org or call us at (703) 276-3100 Monday-Friday, 9:00am – 5:00pm (Eastern Standard Time).